Protect your personal and business information with our quick, efficient, and affordable document destruction services. Trusted on-site paper shredding is available across Boxborough MA five days a week with next-day appointments available. At A1 DATASHRED, customer convenience is our priority. Call our office for expert assistance from a knowledgeable team member. You’ll learn about our services, obtain detailed information on the process, and receive an honest quote. When you’re ready to take the next step, select an appointment that fits your busy schedule. We are available Monday to Friday. Confidential documents pile up fast, and attempting to transport them on your own is challenging. We make the process simple and efficient by offering on-site residential and commercial paper shredding services. Our state-of-the-art fleet or paper destruction trucks are capable of destroying 6,000 pounds of documents per hour, and all shredding takes place at your Boxborough MA location. Our trucks are even fitted with side screens and security cameras so you can witness your papers being destroyed. Whether you run a small local business or a large corporation, we have a commercial shredding service to suit your needs. Our document destruction services are split into to main options for businesses;. One-Time Shredding – On-demand shredding services allow you to call and make a next-day appointment when you need it. This option serves the needs of companies that don’t necessarily need document destruction on a regular basis. If your paper shredding demands increase, you always have the option to upgrade to the scheduled shredding program. Scheduled Shredding – If your company requires regular document disposal, our scheduled program is the most convenient option. We work with each commercial client to evaluate their needs and craft a custom shredding schedule. Choose a timeframe anywhere from weekly visits to monthly document destruction, and enjoy the added perk of free security containers strategically placed around your facility to deposit documents for destruction. Worried about identify theft? Turn to our residential shredding services to protect your confidential information. The whole process occurs at your home, eliminating the risk of paperwork getting into the wrong hands. Our team loads up all of your private documents into a secure container, transports it out front to the shredding truck, and destroys the materials before leaving the site. Plus, you’re able to witness the entire shredding process thanks to the screen fitted on the side of the truck. Regardless of how many times you hit “delete”, confidential data leaves a footprint on your hard drive. The only way to prevent the information from being accessed in the future is destroying the equipment. Our hard drive destruction services occur on site, and we even provide a certificate of destruction to ensure your business has proof of federal privacy compliance. When you choose A1 DATASHRED for document destruction, you’re provided with peace of mind. All of our staff arrives on site in easy-to-identify uniforms that display photo identification. Every team member undergoes a background check and drug screening upon hire, and both processes are repeated annually. Additionally, all employees sign a confidentiality agreement to ensure the information of our shredding clients is protected. You deserve top-quality paper destruction services, and A1 DATASHRED is committed to providing exactly that.  Our company is AAA Certified by the National Association of Information Destruction (NAID). This accolade is only awarded to shredding companies with a proven track record of safe and secure document disposal. To maintain this recognition, we utilize state-of-the-art equipment, follow strict shredding standards, and provide professional training to all team members. With our residential and commercial shredding services, you can achieve sustainability without sacrificing your private data. Our eco-friendly document destruction results in zero impact at the landfill as all materials are recycled into other paper products. As a result, 17 trees are saved with every ton of shredded paper produced. Request your quote by calling our office and we can set up an appointment as soon as possible.